The smallest tree planting machine in our program. 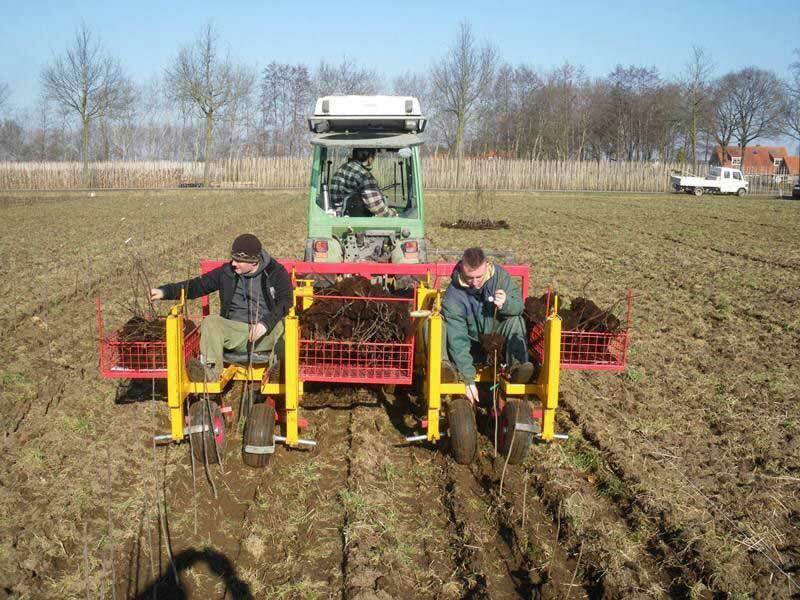 These machines are very suitable for planting root stocks, whips and conifers. The PL-10 is available as a 1-row, 2-row, 3-row and 4-row machine. To pull a 1-row planting machine a tractor with 20 hp is needed, for the 4-row machine a tractor with 85 hp is needed. These planting machines can be provided with a 5, 10, 15 or 20 cm planting element. Capacity varies between 4.000 – 5.000 trees per day (PL-10/1 row) and 16.000 – 20.000 trees per day (PL-10/4 row). Those tree planting machines can be provided with a Block planting distance indicator.